Increasing levels of pollution in Asia are strengthening storms over the Pacific Ocean, a study has revealed. Scientists warned these changes could have a radical knock-on effect on climate systems around the world if left unchecked. A study published in the Proceedings of the National Academy of Sciences in the US on Monday has identified a link between increased pollution in Asia and changes in weather systems over the Pacific Ocean. Scientists from Texas A&M University drew a comparison between levels of man-made particles in the air from 1850 to 2000 with an advanced global climate model. They discovered that an increase in anthropogenic aerosols - fine particles given off by industrial activities – is likely causing stronger cyclones in the mid-latitudes of the Pacific, as well as increased precipitation. According to researchers, these changes could have a knock-on effect all over the world. “There appears to be little doubt that these particles from Asia affect storms sweeping across the Pacific and subsequently the weather patterns in North America and the rest of the world,” Renyi Zhang, professor of atmospheric sciences at Texas A&M University in College Station, said in a press release. China is Asia’s Number 1 offender in terms of air pollutions, with the country’s largest cities regularly enveloped in toxic smog. In addition, levels of pollution in Beijing regularly soar above international safety guidelines. 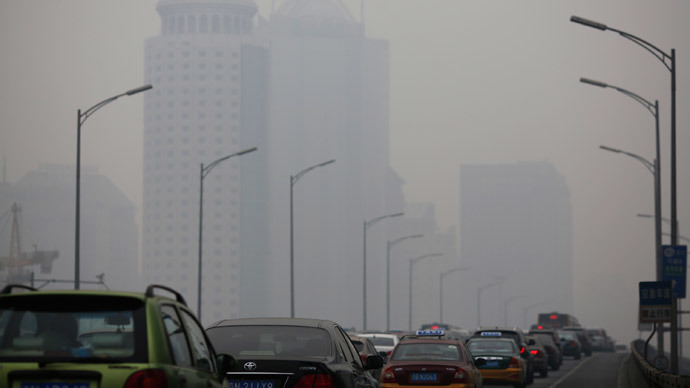 In March, China’s Ministry of Environmental Protection released a report revealing dire pollution problems. It found that the most polluted cities were in the north, where most of China’s coal-fired power plants are located, as well as steel manufacturing plants. 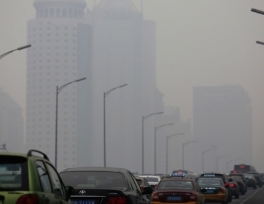 In addition, the study reported that air quality standards were only met on 48 days in 2013 in Beijing. In an attempt to combat the rising levels of smog, the Chinese government is set to grant Beijing new rights to close polluting factories and punish officials, writes the South China Morning Post. In order to do this the government will push through an amendment to China’s 1989 Environmental Protection Law.